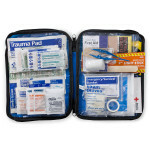 (100) Plastic Bandages, 1" x 3"
(1) Burn Dressing, 4" x 4"
(1) Conforming Gauze Roll, 2"
(2) Trauma Pads, 5" x 9"
(1) Triangular Sling/Bandage, 40" x 40" x 56"
(6) Gauze Dressing Pads, 3" x 3"
Kit Dimensions: 13.25" x 13.25" x 4.25"
This product meets or exceeds ANSI III criteria. 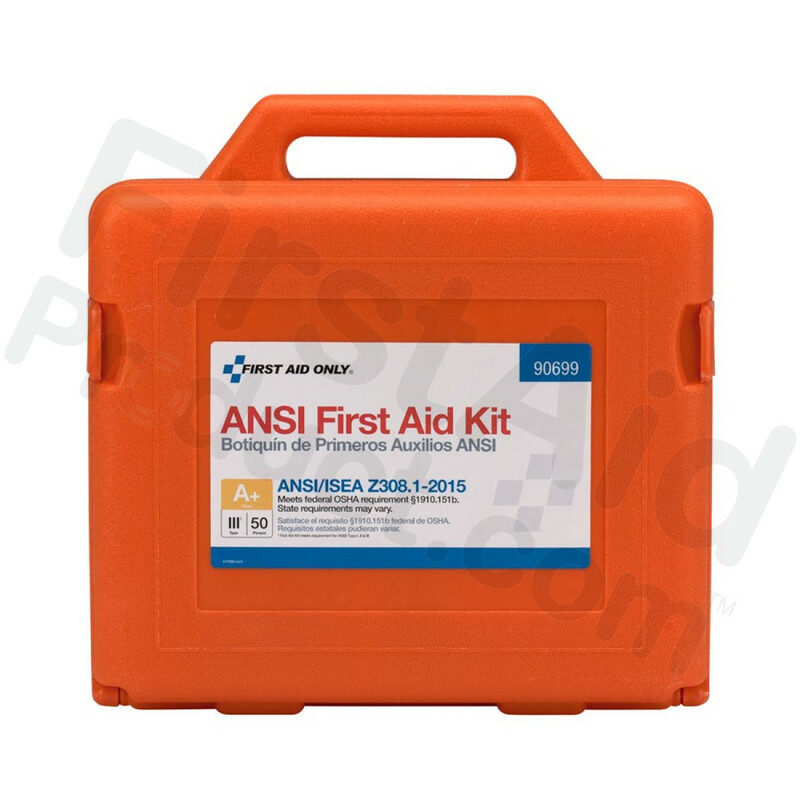 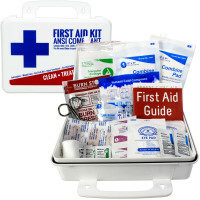 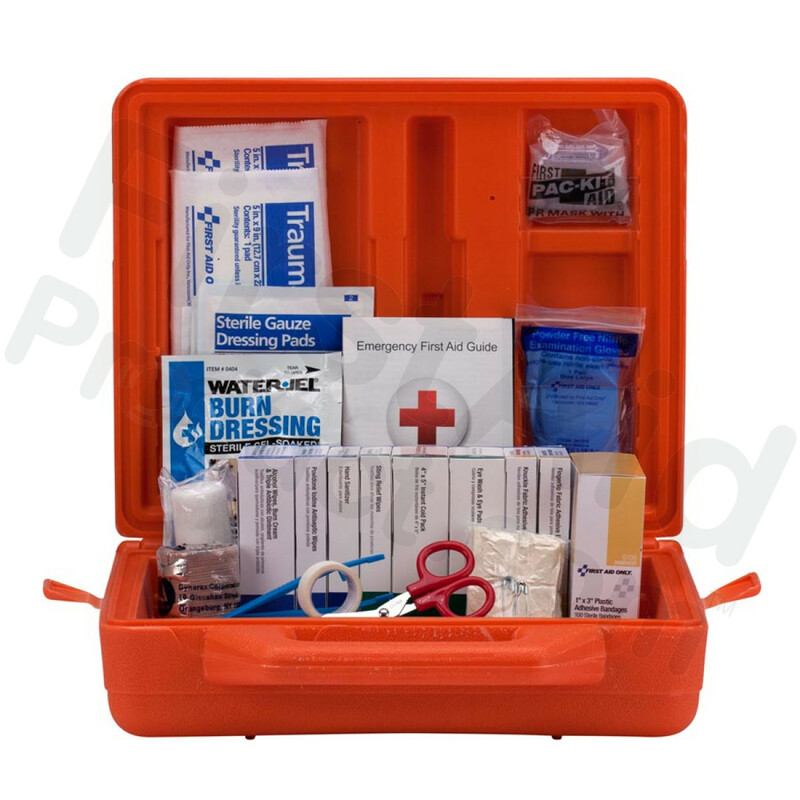 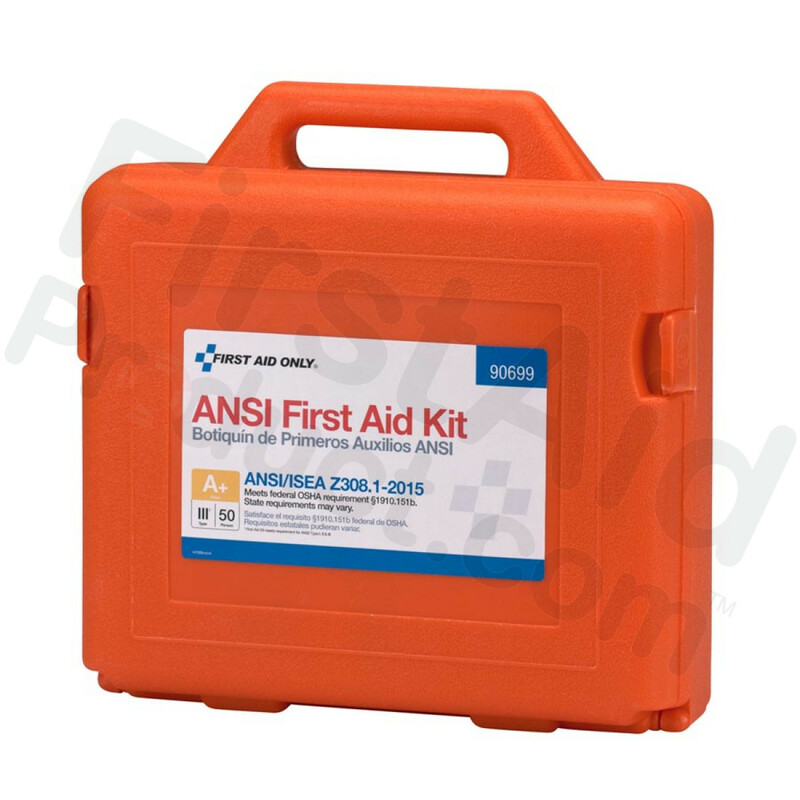 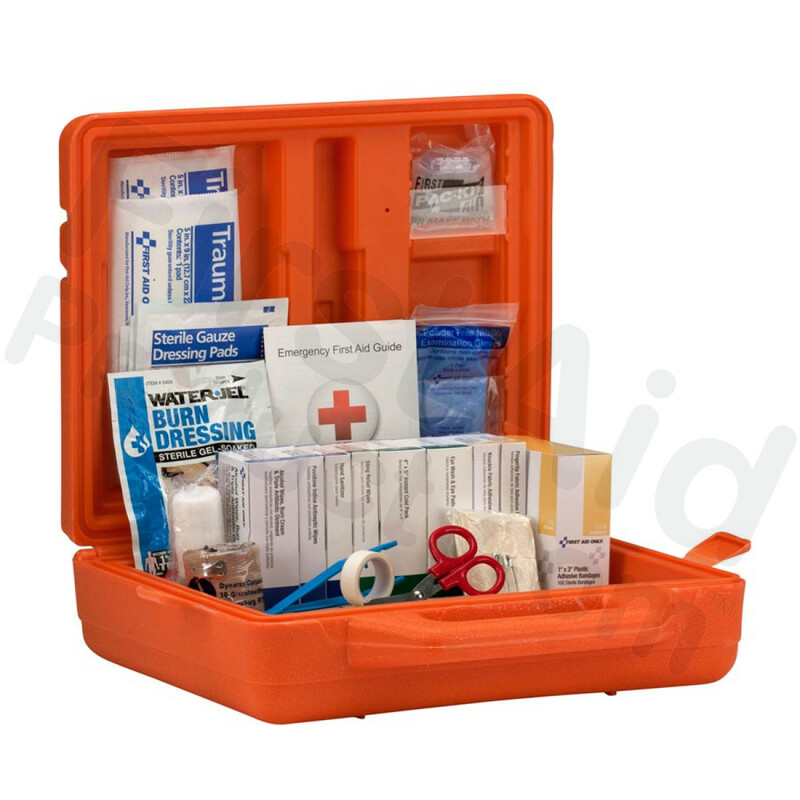 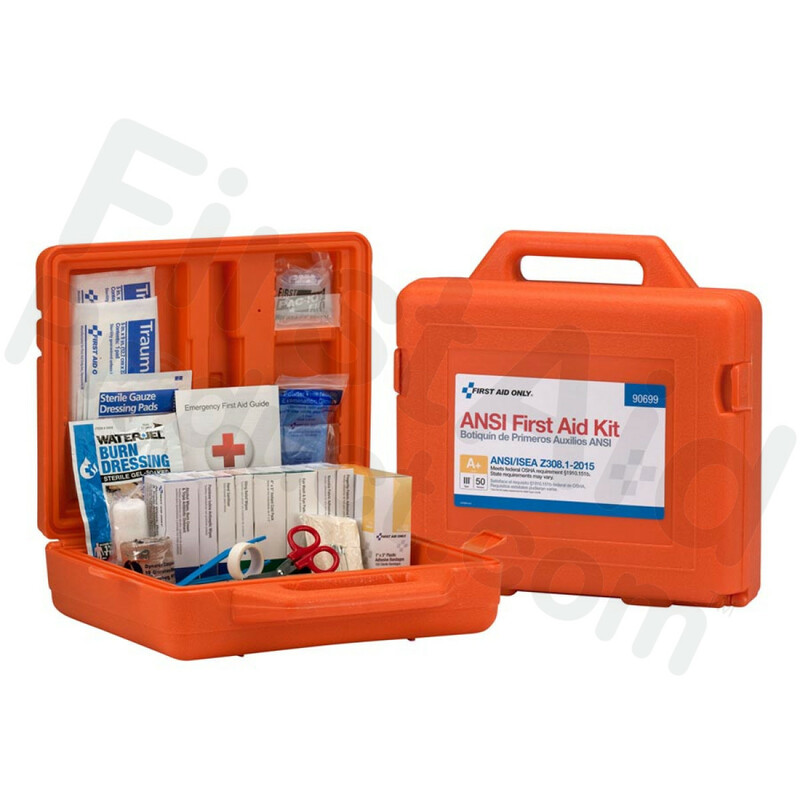 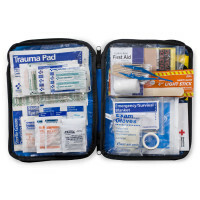 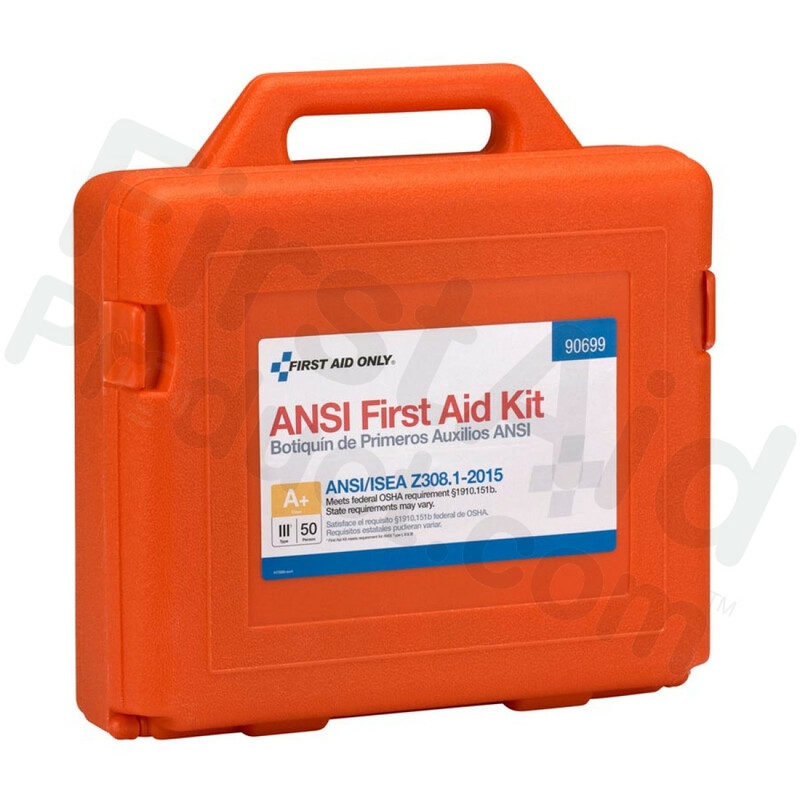 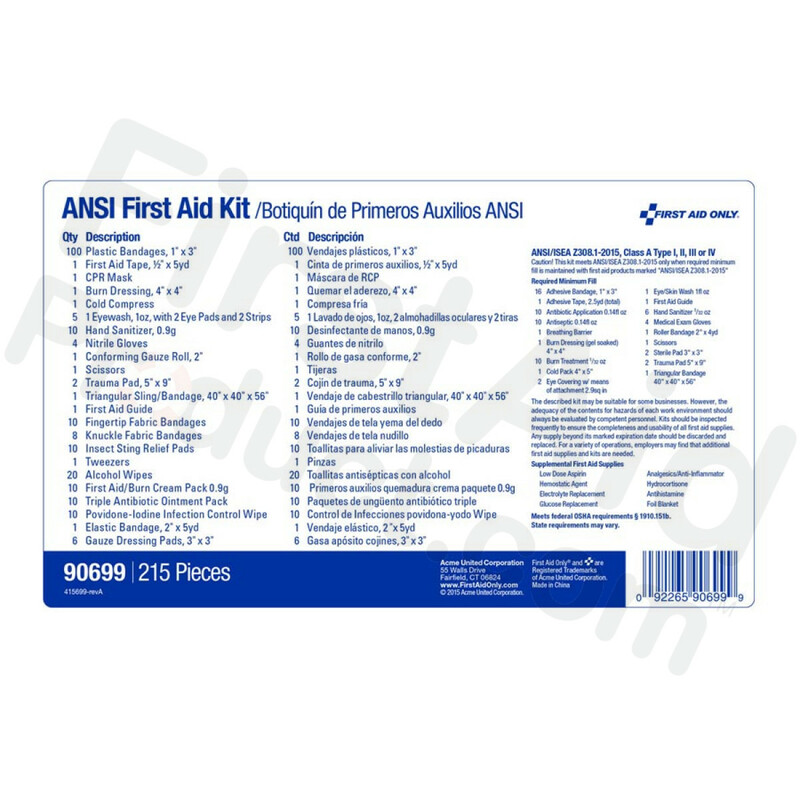 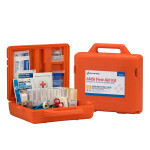 50 Person Weatherproof ANSI A+ First Aid Kit, Plastic Case. 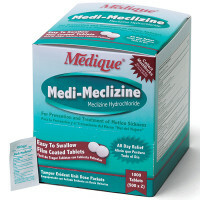 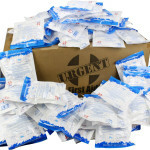 4" x 5" Urgent First Aid Instant Cold Compresses, Case of 125 - Best Price Online!